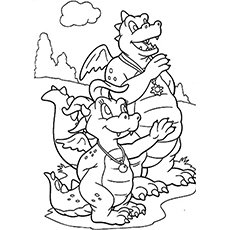 There is absolutely no doubt that coloring is a fun filled activity. 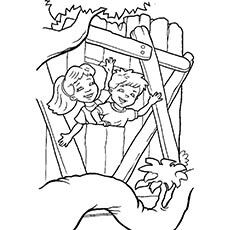 It is a great way to get your child to sit and do something constructive instead of creating a hullabaloo around the house. As a mother, we know that you would want your kids to learn from their daily experiences. 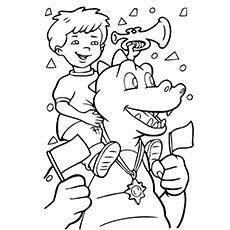 Hence, coloring offers you the opportunity to give your child’s knowledge of how to use the right colors and recognize them as well! 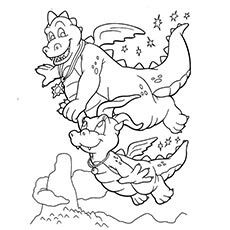 Dragon tales are the famous animation cartoon that was first aired in 1999 and has, since then, been a favorite amongst children. 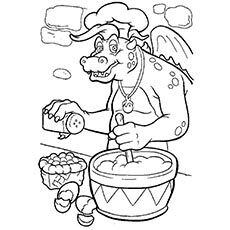 Now you can make your kid hooked to this carton with these dragon tales printable coloring pages. 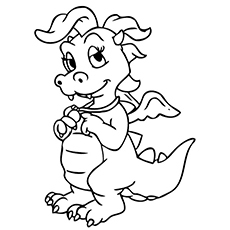 This is Cassie, one of the dragons of Dragon Land. 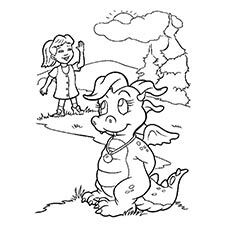 She is a shy and demure dragon who also happens to be Emmy’s best friend. She has the magical power wherein she shrinks in size whenever she is unhappy or worried. 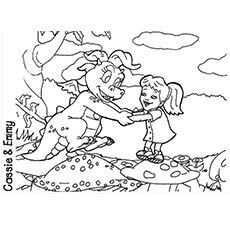 Max is Emmy’s brother and he travels to Dragon Land with his sister. 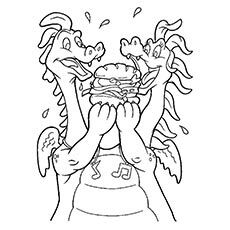 He is four years of age and is best friends with Ord the dragon. 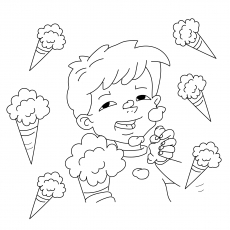 Here you see him enjoying some ice-cream and having fun. 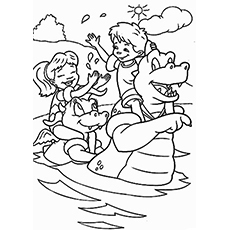 Max, Emmy, Cassie and Ord are seen here crossing a river in Dragon Land. 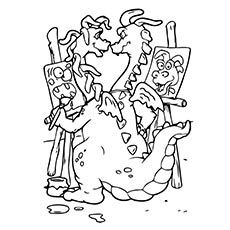 These four best friends are seen to have a lot of fun as they do so. They always have some kind of adventure or the other and are always helping each other out. 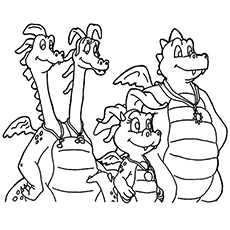 Here are the four talking dragons of Dragon Land who befriend the human siblings Emmy and Max. So you have Zak and Wheezie, Cassie and Ord. Together they are always overcoming some hurdle or the other. It is a good example for kids that everything is possible if it is pursued with sincere efforts! 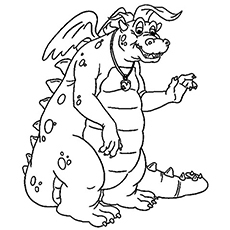 Here is Quetzal, the old dragon who is wise and a teacher at the School in the Sky. 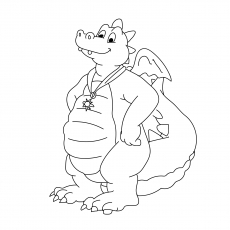 That is where all the young dragons go to learn things. 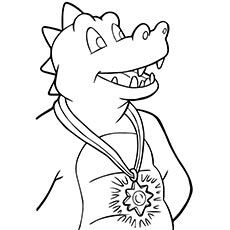 Quetzal has been always ready to help out the dragons with his wise words whenever they need help and motivation. This is a goodbye scene. Cassie and Ord wave goodbye to their friends Emmy and Max. 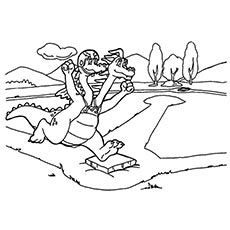 Here they are seen taking leave and going back to their home in the human world. Cassie is the responsible older sister. She is always taking care of her younger siblings. 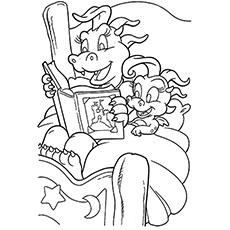 Here she is seen reading out a bedtime story to her younger sister Kiki, who is a green colored kid dragon. Here we have the two best friends, Emmy and Cassie. 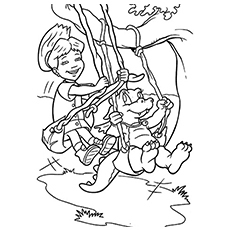 The two are swinging on a pair of swings and having the time of their lives. 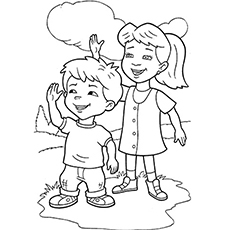 These friends love to do things together. 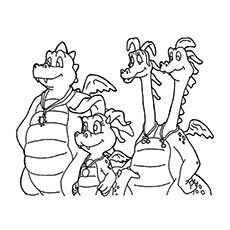 Max and Emmy are siblings who get hold of a magical dragon scale that transports them to the Dragon Land on chanting a rhyme. Emmy is six years old and is always looking out for her brother. 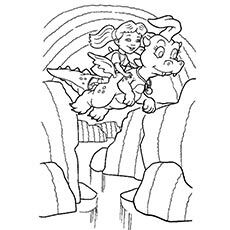 Together they have a lot of adventures in Dragon Land. 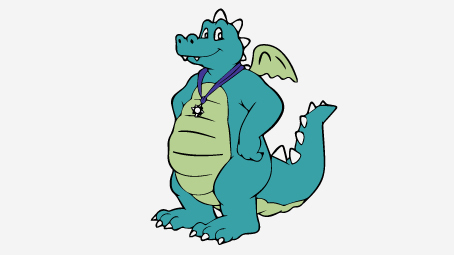 Ord is one of the friendly dragons that Emmy and Max meet in Dragon Land. He is best friends with Max. He has the power to turn invisible whenever he feels scared. 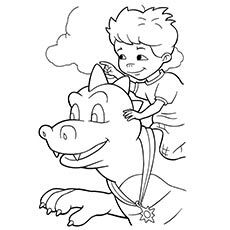 He carries Max on his back whenever the dragons and the humans need to fly to some place! 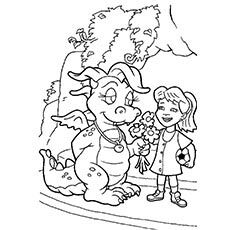 These were the top 10 free printable Dragon Tales coloring pages covering the adventures of Dragon Tales. 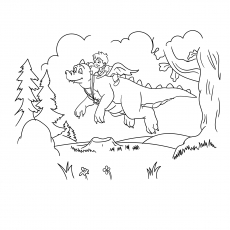 You can create your very own set of coloring pages and share them with us!